Added on 28 December 2018 . By Olivia Cheves. Jackson Boxer and Andrew Clarke are back at it again with the trendy restaurants. 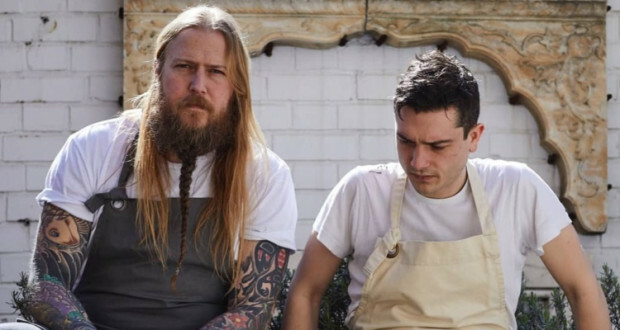 Having seen monumental success with Vauxhall salvage-yard-turned-foodie's-favourite, Brunswick House, and their more recent effort, St Leonards in Shoreditch, the duo are turning their attention to West London with the Scottish-influenced Orasay. Inspired by chef-restaurateur Boxer's childhood holidays spent in the Outer Hebrides, Orasay - which takes its name from the island of Orosay - puts focus on the region's affinity for excellent marine produce. Fronting everything from oysters and razor clams to scallops, crab and lobster, the menu will offer the best of British seafood, alongside salad, vegetables, honey and eggs sourced from Boxer's own organic farm in West Sussex. As for the wine, Boxer and Clarke have kept it simple with a focussed selection of around 60 wines, many served from keg and tap by the glass and the carafe. However, those looking for a more interesting bottle will be privy to a small, rotating menu of rarer vintages from Boxer's own wine cellar.